The CFOS Foundation is directed by a ten-person community-controlled advisory board, eight of which are community leaders, and two of which are CFOS representatives. The board is solely responsible for assessing grant applications and making grant recommendations to The Seattle Foundation, and is governed by a code of ethics. Since 1978, Mimi Siegel has served as executive director of Kindering, a nonprofit neurodevelopmental center helping infants and children with special needs. Kindering is one of the largest and most comprehensive centers in the US; its work has been honored locally and nationally. Mimi has published several articles regarding early intervention, therapeutic child care, and foster care. She is a founding member and past chairperson of the Early Childhood Development Association of Washington. Mimi chaired strategic planning and external relations efforts for the board of Amara. She has served on the board of trustees of Intiman Theatre (Vice-President and Chair of Strategic Planning as well as on the Artistic Director Search Committee), and United Way of King County Eastside Community Council. She was also a member of the City of Bellevue Downtown Implementation Plan Community Advisory Council. 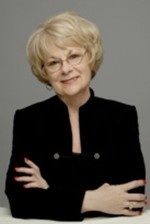 Mimi joined the board of Social Venture Partners in 2008. Mimi is a graduate of the University of Wisconsin (BA history) and Case Western Reserve University (MA history). She is married to Martin Siegel, MD, and has two adult children, Elizabeth and Marc. 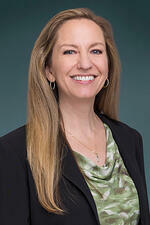 Sheri Ferguson is a founding partner of Accounting Solutions Partners, LLC. ASP has been providing accounting and bookkeeping services to small and midsize companies since 2006. 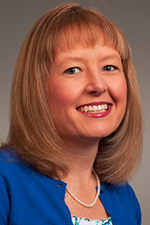 She has served on the board of CFOS Foundation since 2010 and has been a partner at CFO Selections, LLC since 2013. Sheri has over thirty years of experience in accounting and financial services. She has successfully owned and managed three accounting services companies in both eastern and western Washington. Accounting Solutions Partner’s team of over 80 professionals has many satisfied clients in multiple industries including professional services, start-up technology, e-commerce, construction, non-profit, and healthcare. In addition to her extensive experience in accounting, both as a manager and a bookkeeper, Sheri has held both a securities and insurance license working with New York Life, Mass Mutual and AXA Financial. Sheri is passionate about volunteering and has worked with World Vision, Vine Maple Place, and Westminster Chapel. In her free time she enjoys traveling, cooking, yoga, and spending time with her five grandchildren. Candi Avery, CPA, is an audit principal at Clark Nuber P.S. a large local accounting firm located in Bellevue, Washington. She has 18 years of experience focused exclusively on providing audit and consulting services to the not-for-profit sector. She routinely speaks on complex accounting issues, policies and procedures, federal grant compliance, enterprise risk management, and board governance topics. Candi is a popular instructor for Not-for-Profit Basics workshops, and she routinely speaks at seminars geared to the not-for-profit professional. 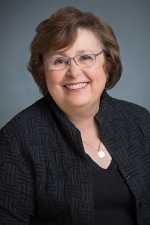 Candi is a member of the Fred Hutch planned giving advisory committee and has previously served on the Washington Chapter of the Association of Fundraising Professional’s board as its Treasurer. She also currently serves on the planning committee for the AICPA National Governmental and Not-For-Profit Training Program Conference. Candi received her Bachelor’s degree in accounting from Western Washington University and is a member of Leadership Tomorrow Class of 2016. She lives in Maple Valley with her husband and two active boys who enjoy baseball, boating and traveling to warm places. 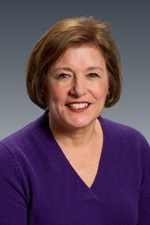 Sue Sander is the Regional Director for Normandeau Associates, Inc. In addition, she was the former president of Shapiro and Associates, Inc., and was responsible for management and direction of the Northwest’s largest environmental firm. Her background encompasses studies in the fields of management, financial administration, marketing, sustainability, and natural resources/planning studies. Her involvement in a wide range of public and private sector projects includes: environmental management services, ecological restoration commercial/industrial and residential projects, and infrastructure/ transportation/ energy projects. She is also currently serving as the Chairman for Normandeau’s ESOP Advisory Committee and the Bellevue School District’s Ski School Program. Under Sue’s direction, Shapiro and Associates was awarded Employer of the Year by Women in Transportation Seminar, Seattle-Small Business, King County-Woman-Owned Business Enterprise, and Sound Transit Employer of the Year. She has also been awarded the Washington Business Person and US Business Person of the Year by the US Business Advisory Council. Sue holds a BS degree in Biology from Western Washington University and an MBA from the University of Puget Sound. In addition, Sue and her family have grown up in the Bellevue area and enjoy being in the Pacific Northwest every day! Cedric works as a trusted partner to help philanthropists build relationships and bridge their passions with critical community needs. From families to nonprofits to businesses, Cedric works with a wide variety of philanthropists to ensure they receive a personal approach to their community impact. Cedric brings expertise in sales, marketing and consulting. He previously managed national partnerships at Casey Family Programs, a foundation focused on improving child welfare. 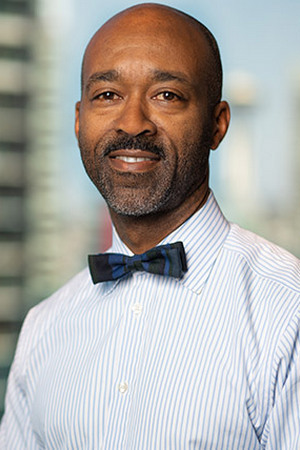 An active community member, Cedric currently serves as an advisor with Mentoring Urban Students & Teens, as a Board Director with Mothers for Justice United and as a Trustee with Seattle Pacific University and also works at Seattle Foundation. Cedric enjoys time with family, playing golf and capoeira. 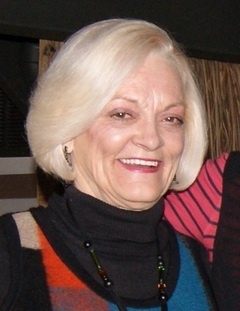 Derenda Timmons Schubert has been the Executive Director of Bridge Meadows since 2007. Bridge Meadows is a nonprofit organization that focuses on developing and sustaining intergenerational neighborhoods for adoptive families of foster children that promote permanency, community, and caring relationships, while offering safety and meaningful purpose in the daily lives of older adults. 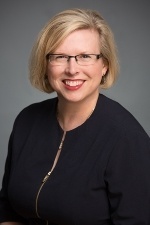 Prior to Bridge Meadows, Derenda was with Trillium Family Services for almost ten years, serving in positions such as Chief External Affairs Officer and Chief Operating Officer. Trillium is one of Oregon’s largest nonprofit organizations devoted to children’s mental health, providing services ranging from in-home to hospital level care including school-based services, crisis services, alternative education, and therapeutic foster care. Before joining Trillium, Derenda was a practicing psychologist and clinician in the greater Portland area. Derenda holds a PhD in Clinical Psychology from DePaul University, a Master of Arts from the Clinical Child Psychology Program at DePaul University and a Bachelor of Arts in Psychology from Purdue University. She is an Advisory Member to the Sara Start Fund, a Former Board Member of the Coalition for Equal Access for Girls and a Former Member of the Board of Directors for the Autistic Children’s Activity Program. Currently, she is a Commissioner on the Oregon Volunteers Commission. 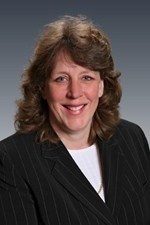 Becky Todd is an experienced financial leader with over 20 years of experience in a diverse set of industries including aviation, software, retail, and nonprofits. She has extensive expertise helping small to mid-size companies gain control over their accounting/finance operations and apply their financial assets, smartly and strategically, to support the accomplishment of key corporate objectives. In addition to her deep technical accounting background, Becky has the ability to oversee multiple other departments including Operations, HR, Payroll, and Information Technology. Becky has a passion for helping companies strengthen their finance organizations and position themselves for future growth. Becky holds a Bachelor of Arts in Business Administration (Accounting) from the University of Washington. She and her husband reside in Kent, WA and she enjoys travel, cooking, and bike riding. 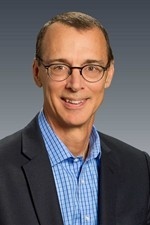 Tom Varga is the founder and former managing partner of CFO Selections, a finance and accounting professional services firm headquartered in Bellevue WA. Prior to founding CFO Selections in 2002, Tom served as president of 1NService, Inc. a national alliance of network technology and security companies. He has also held COO and CFO positions for Northwest Nexus and Peopleware. In addition to his board work with the CFOS foundation, he previously served on the board of The Mountaineers, a local group with a mission to enrich the community by helping people explore, conserve, learn about, and enjoy the lands and waters of the Pacific Northwest. He has also formerly been a director of Spiritwood Assisted Living, a director and treasurer of the Lutheran Outdoor Ministries Association, a board member of the finance committee of Seattle SCORES, a director and treasurer of the Northwest Student Exchange (a nonprofit international high school exchange organization), and a finance committee member at the Bellevue Arts Museum. In 2009, he was a finalist in the Ernst and Young Entrepreneur of the Year Program for the Pacific Northwest. Tom grew up in Cleveland, where he was raised by Hungarian immigrant parents. He earned his BS degree in Business Finance from John Carroll University in Cleveland and his MBA from the University of Notre Dame. Tom moved to the Pacific Northwest in 1994 and lives with his family in Seattle, where he enjoys mountain climbing and teaching mountaineering. Carol Wire is the Associate Executive Director of Dress for Success Oregon, a nonprofit that focuses on job procurement and retention for low-income women. Prior to Dress for Success, Carol was the first Executive Director of Oregon PTA, a 110-year-old volunteer organization. She worked extensively with the legislature on educational issues and with the Oregon Education Investment Board to institute high-quality parent engagement strategies in the schools. Carol also served as Executive Director for Kids on the Block, a nonprofit working in the schools on issues of abuse, diversity, disability, safety, and healthy choices. She was Deputy Director for the Oregon Commission on Children and Families, Director for Washington County Commission on Children and Families, and the Director for Multnomah Commission on Children and Families. Carol was also the Co-Chair of the Grant-Making Committee for the Oregon Women’s Foundation and the Board Vice Chair for Family Solutions. Carol holds a Bachelor of Arts in American Studies from Mount Holyoke College and is a graduate of the Pacific Program for Leadership in Public Administration. She has also completed graduate work in American Studies from the University of Minnesota and in Public Administration at Portland State University’s Executive Leadership Institute. With 40 years in the business community, Jacki’s reputation for networking via her legendary database enables The Millionair Club Charity to leverage her contacts. Jacki is currently major gift director at The Millionair Club Charity in Seattle, a position she has held since May, 2012. She left corporate America a few years ago, choosing to give back to her native Seattle through non-profit work. She is responsible for maintaining a portfolio of existing donors while adding new ones. Her donors include individuals, corporations, Board and Committee members and foundations, both financial and in kind. Additionally, she writes grants, initiates and supports events, solicits Board and Committee members, seeks event sponsors and collaborations and is an active public speaker. Member of Seattle #4 Rotary for 14 years, serving on the fellowship, greeters, new member, orientation, community service and classification committees as well as chairing the orientation, greeters, classification and fellowship committees for 3 years and serving as Board secretary. A charitable foundation providing time, talent, and treasure to foster children within the communities CFO Selections serves. Read through our corporate press releases to keep up on CFO Selections news and recent placements.